Knowing your audience’s frustrations is one of a presenter’s key priorities. So an Opinion Research USA survey contains some key pointers for how to visualise your presentation. Because when you visualise your presentation, you organise your work. And when you organise your presentation, you ease your audience’s frustration. Simple. Sound structure and organisation are fundamental for successful presentations. 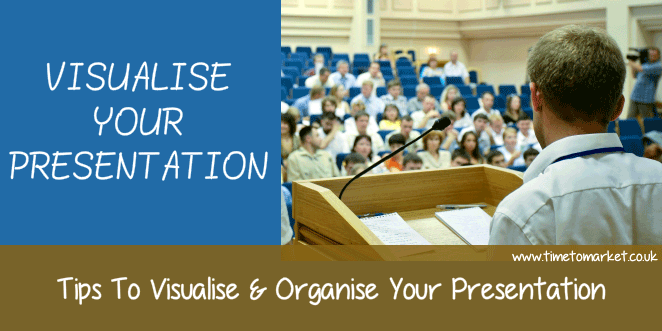 So here’s a very simple guide showing you how to visualise your presentation–either a business presentation or any form of PowerPoint presentation. Getting started with a new presentation is always difficult. Whether you want to use a deck of slides or speak using notes then the organisation of your thoughts is critically important. What comes first? How do I start the presentation? How do I finish? What goes in the middle? Here’s an effective first step approach to help you visualise a very simple presentation or speech. At first it seems to owe more to origami than presentation skills…but wait. Take a piece of A4 or foolscap paper. Fold in half along the long edge. Then fold again, in half along the short edge. And finally, fold the paper in half again along the longest edge. Now, unlike origami, you can unfold the paper which has the outline of 8 boxes. Reading left to right and top to bottom you can manage your presentation. From the first slide to the last. Very simple indeed. And for a short speech or brief presentation it might be all you need. At the very least it’s a first step in visualising the layout and flow for your presentation. Or, it might be how you visualise your presentation when you brief others about its content. For a longer presentation, you can always add another fold. Fold along the shortest edge after your other folds. And then you have 16 boxes. So that’s 16 slides. You can learn other presentation skills tips and techniques on a PresentPerfectTM training course. Because we use more than 40 training centres, you are never that far from your nearest training course. So please don’t hesitate to get in touch.